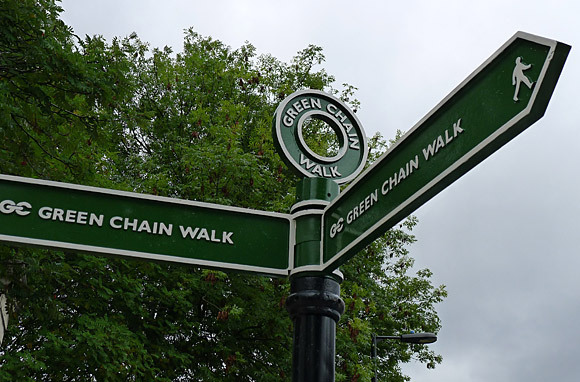 We went along to the launch of a new extension to the Green Chain Walk, which is, apparently, 'London's first long distance footpath'. 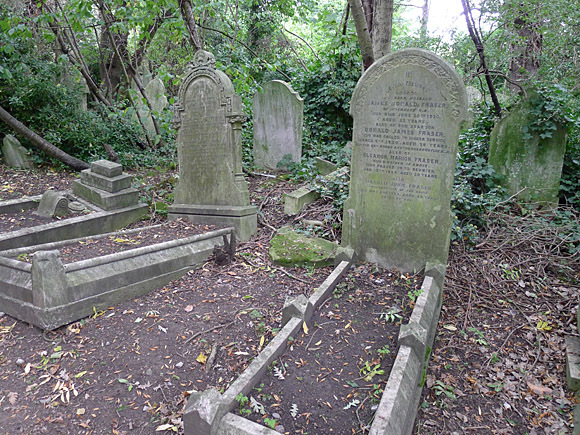 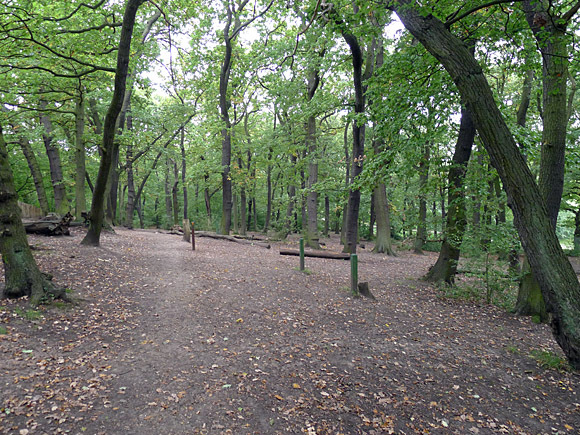 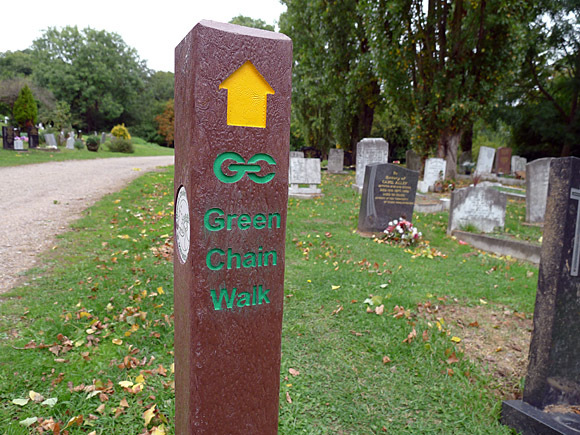 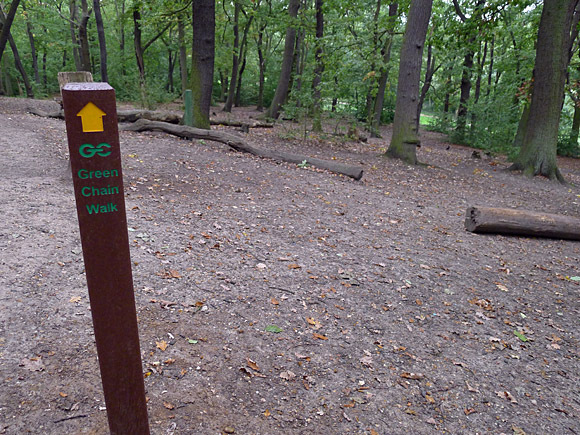 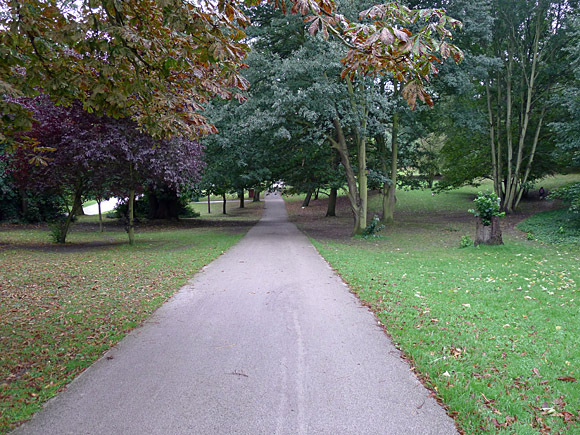 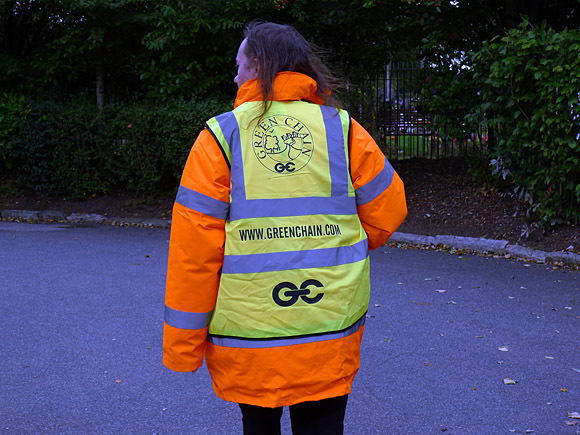 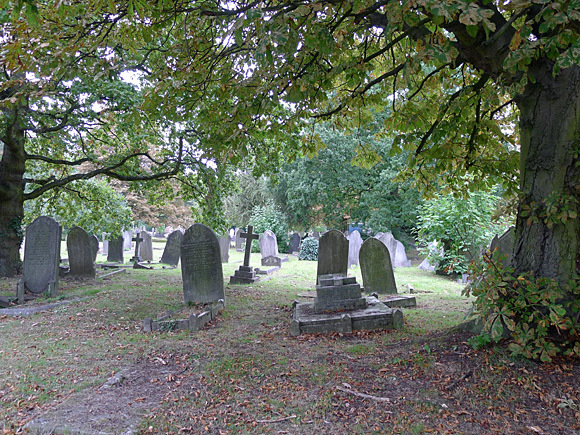 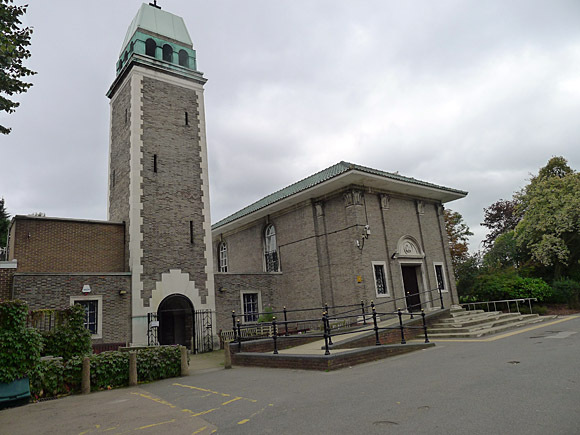 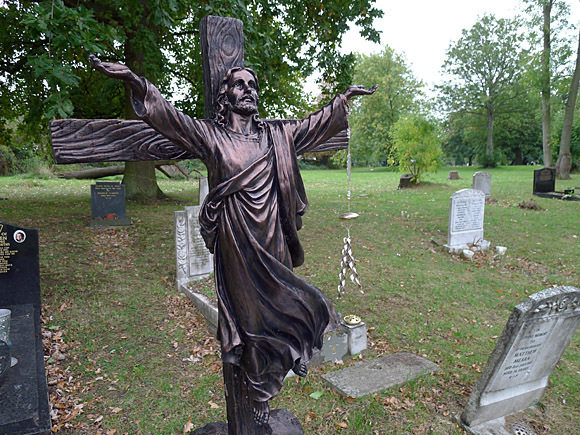 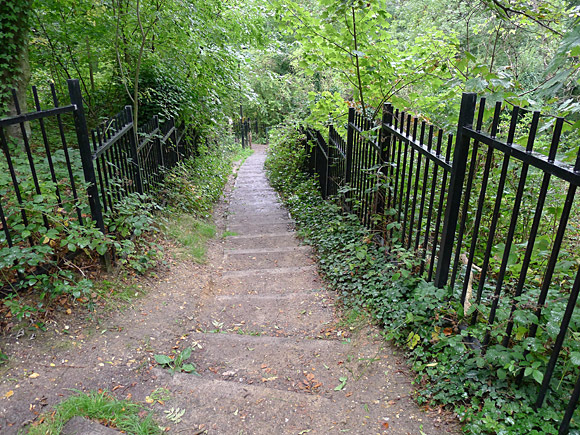 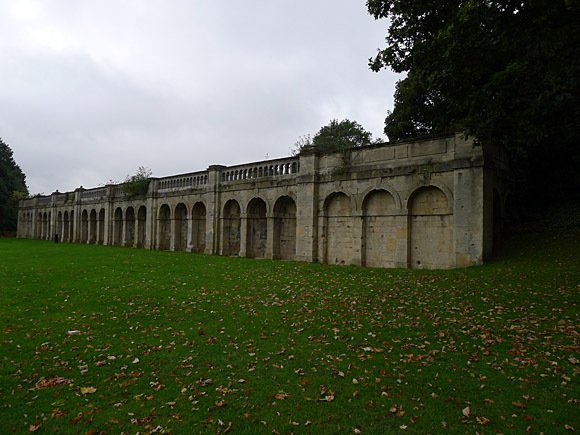 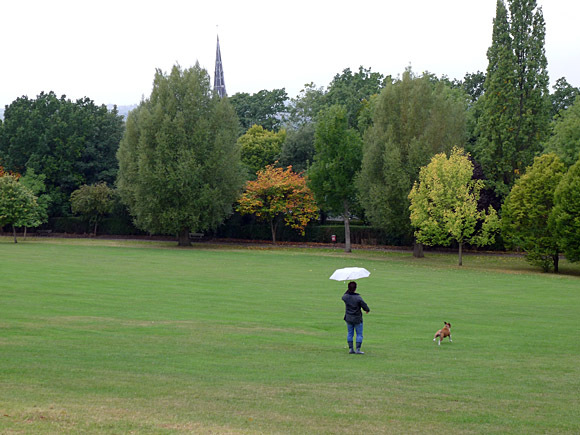 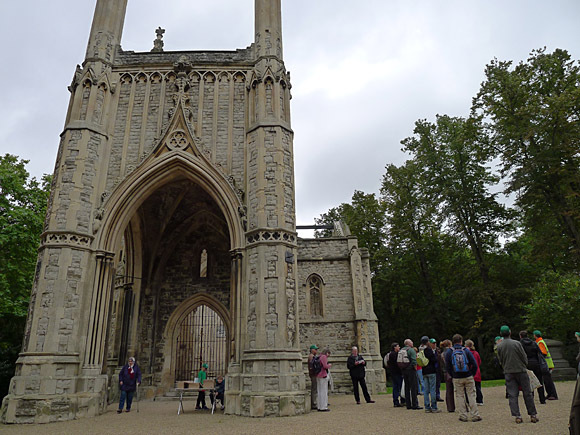 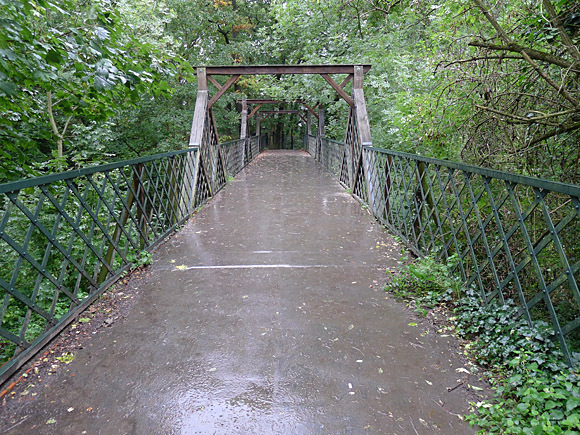 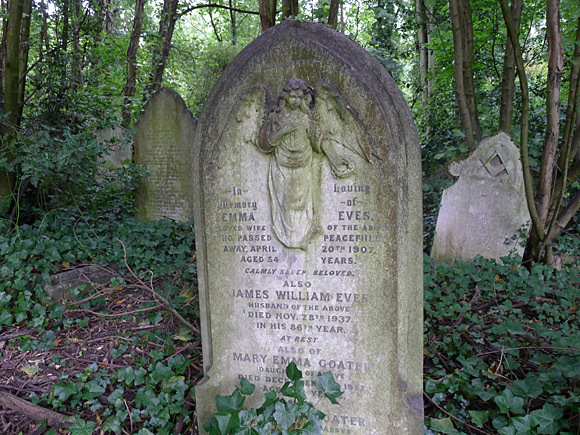 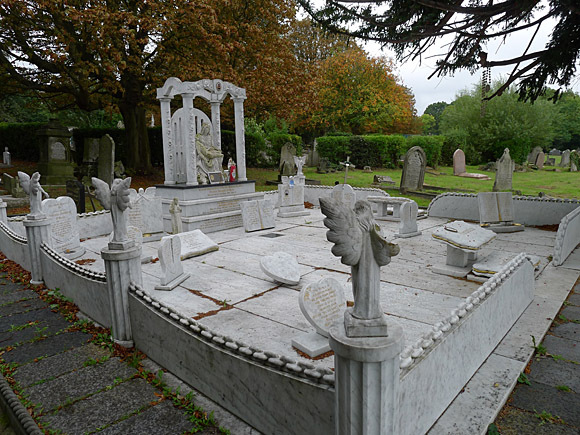 Linking green spaces from the Thames to Nunhead cemetary, the new walk took in Sydenham Hill Woods, Horniman Gardens, Dulwich Park and Crystal Palace Park. 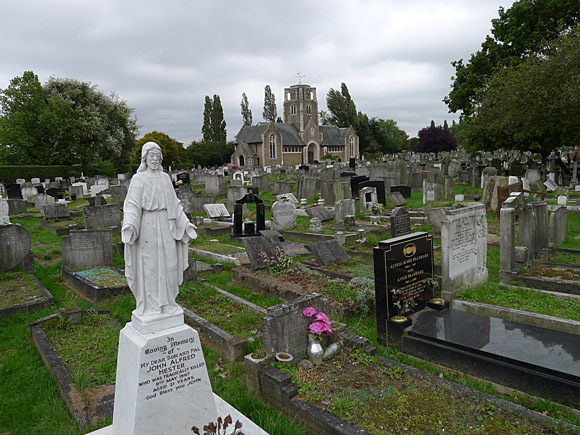 Thanks to a slew of railway works taking place, we missed the planned Nunhead station meeting, so caught several buses and had to leg it into the cemetary to catch up with the walk. 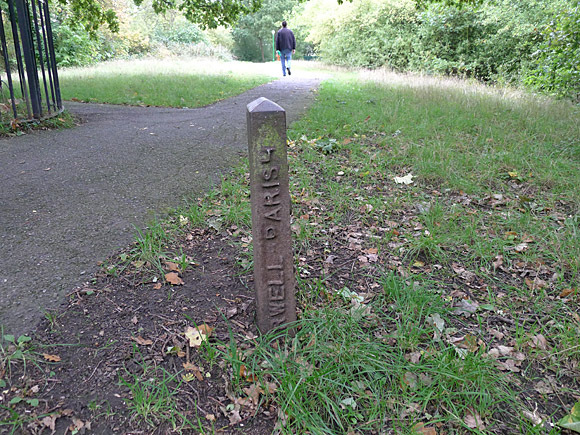 The route is excellently signposted. 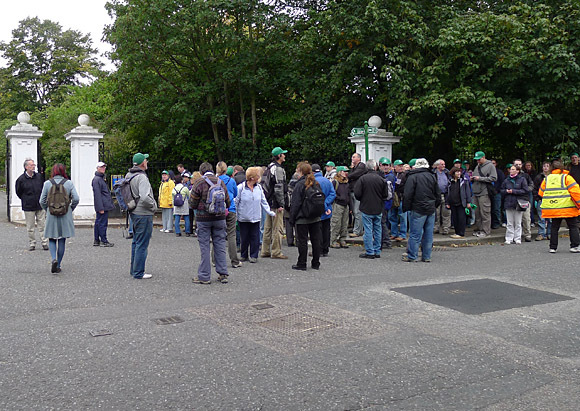 We finally came across the massed ranks of the inaugural walkers, many of them donning 'Green Chain' baseball caps. 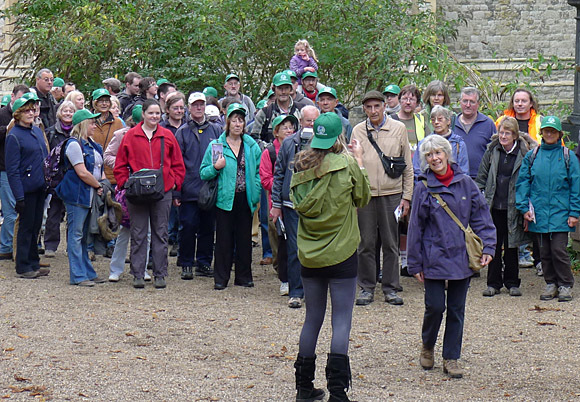 The slightly reluctant walkers were herded together for a group photo. 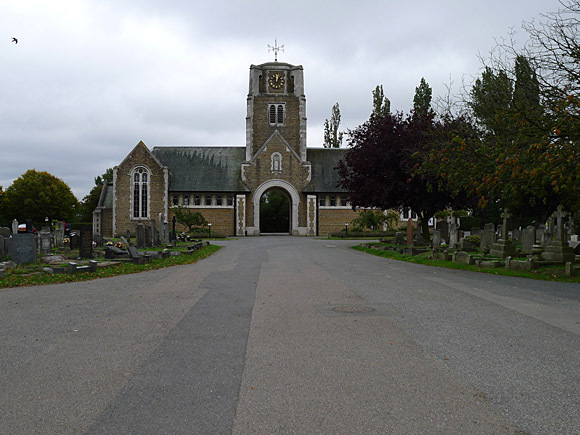 We took a walk around the old Anglican chapel before setting off. 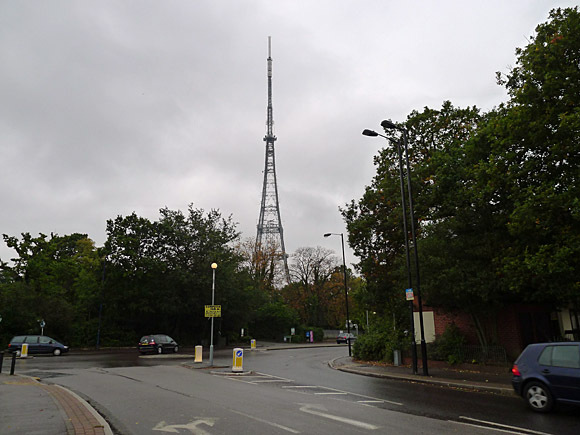 There was two walks on offer: a shorter walk to Dulwich Park - around five miles - or a slightly longer walk on to Crystal Palace. 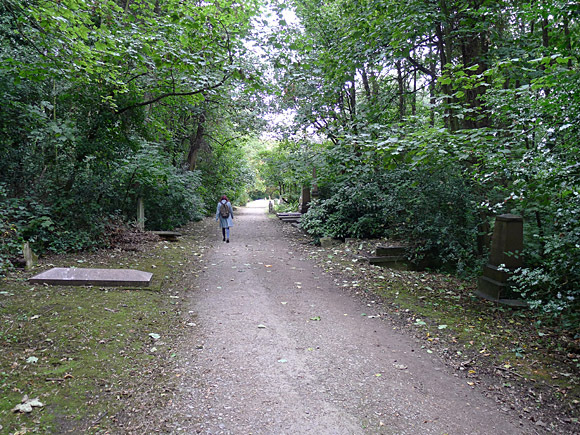 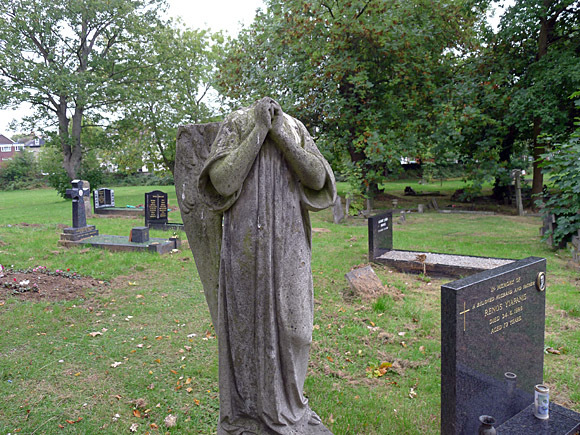 Walking through the Victorian Nunhead Cemetary. 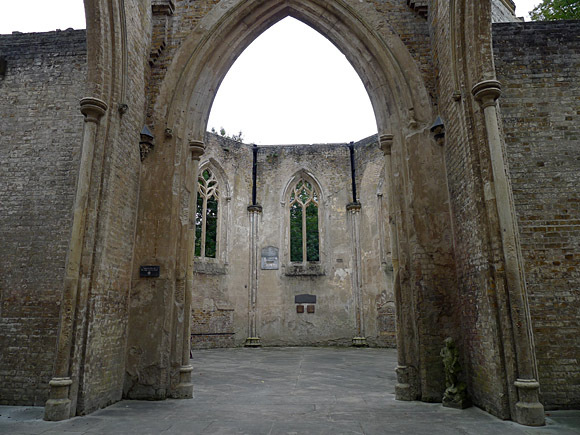 Much of it is in a poor state of repair. 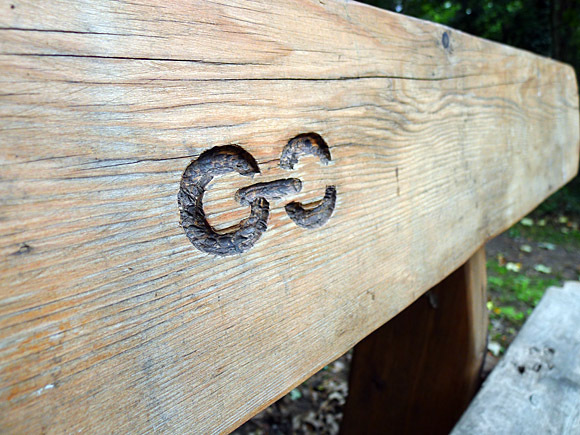 Green Chain branded wooden bench. 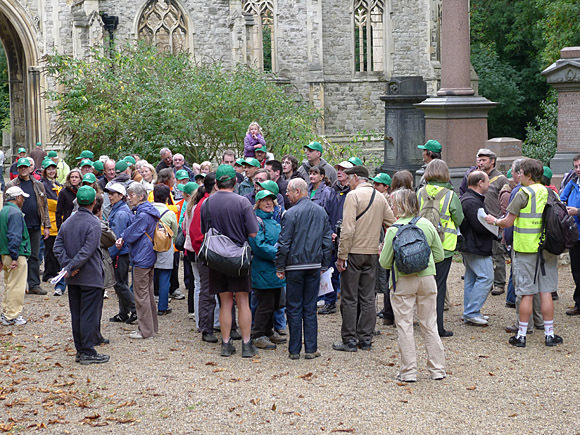 A brief pause to collect waifs and strays outside Nunhead Crematorium. 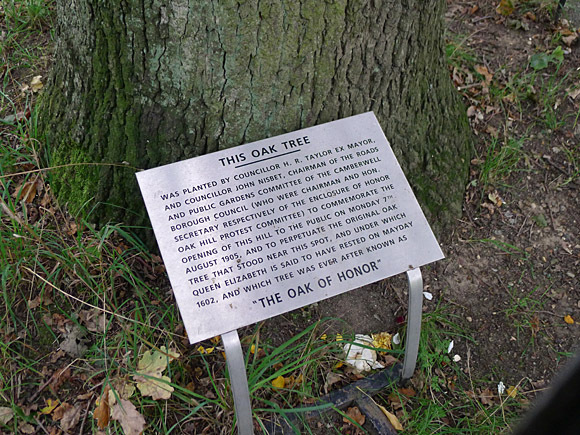 The 'Oak of Honor' at Honor Oak! 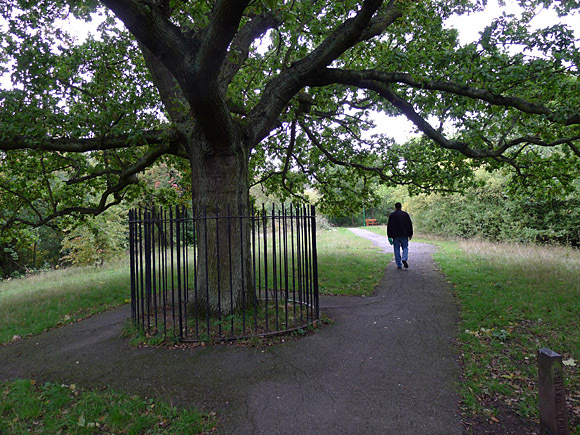 On 1 May 1602, Elizabeth I picnicked with Sir Richard Bulkeley of Beaumaris in the Lewisham area by an oak tree at the summit of a hill, which became known as the Oak of Honor. 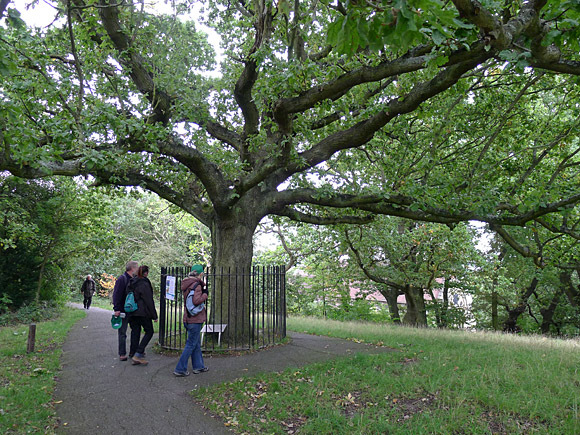 The current oak was planted around 1905. 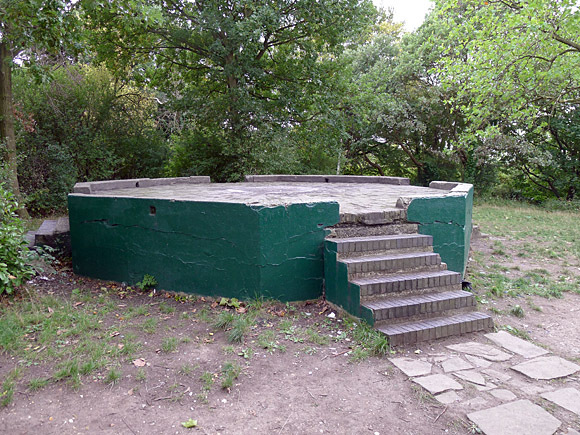 An old Anti-Zeppelin gun emplacement on the top of One Tree Hill (designed to attack the flying airships, not the 1970s rock band). 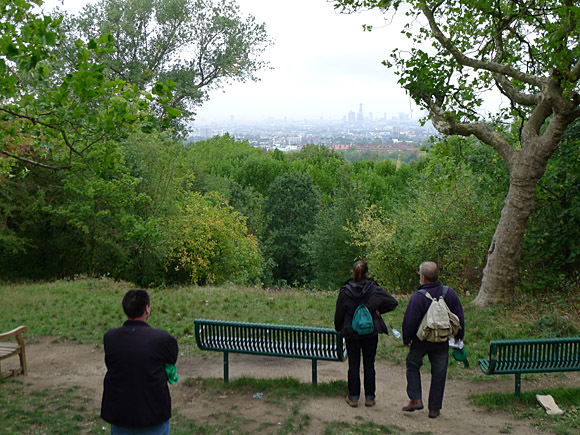 Looking over London from one Tree Hill. 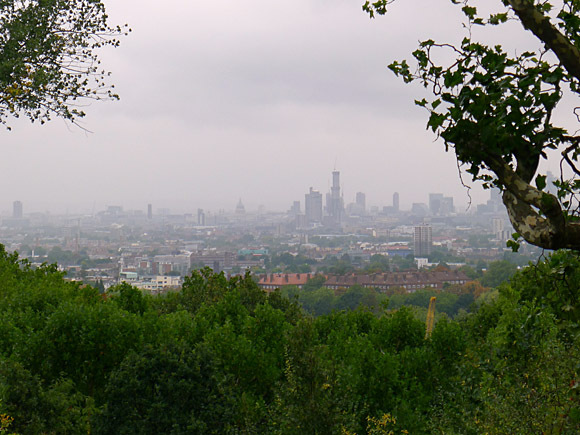 You can see the dome of St Paul's the the left, and the rising core of The Shard skyscraper in the centre. 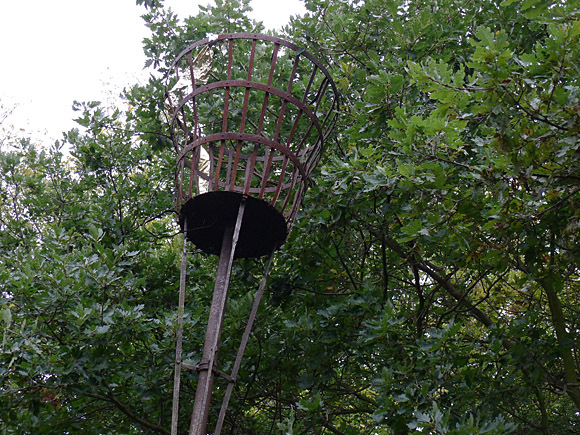 Built to commemorate the Silver Jubilee of King George VI in 1935, the beacon was subsequently used for the Coronation of Queen Elizabeth II, her silver and golden jubilees and also at the Millennium. 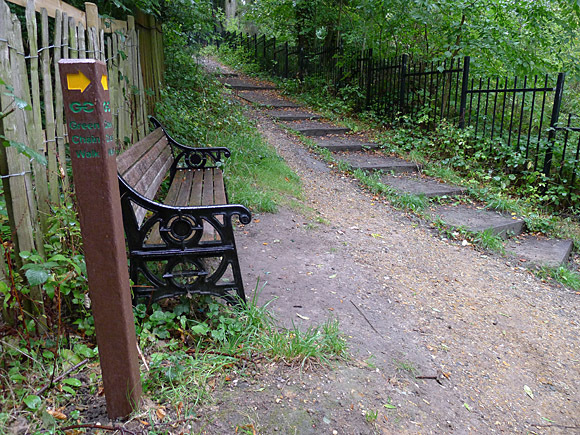 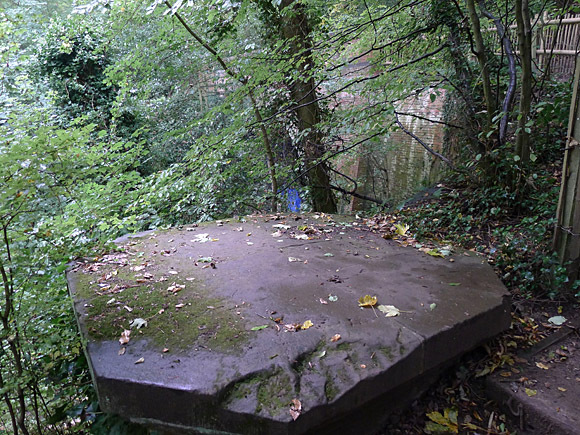 Beacons on the same site were used to give warning of invasion by the Spanish and later the French, and One Tree Hill was the venue for Watson's General Telegraph, a relay system established in 1841 linking London with shipping in the English Channel. 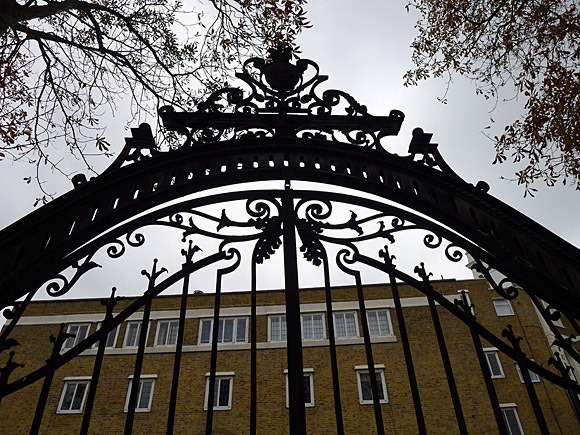 Elaborate gates at St Francesca Cabrini R C Primary School, Honor Oak. 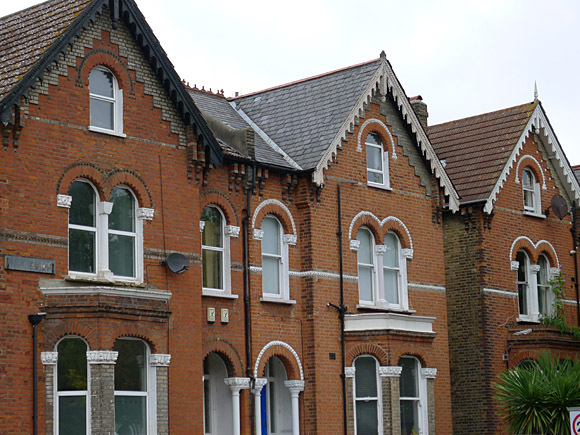 Fabulous Victorian architecture near Honor Oak Cemetary. 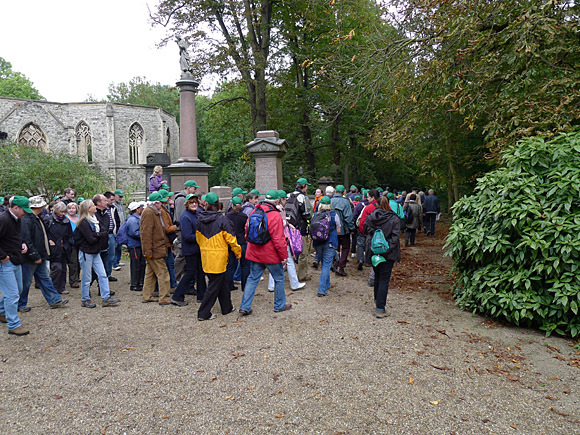 The walk goes through Honor Oak Cemetary. 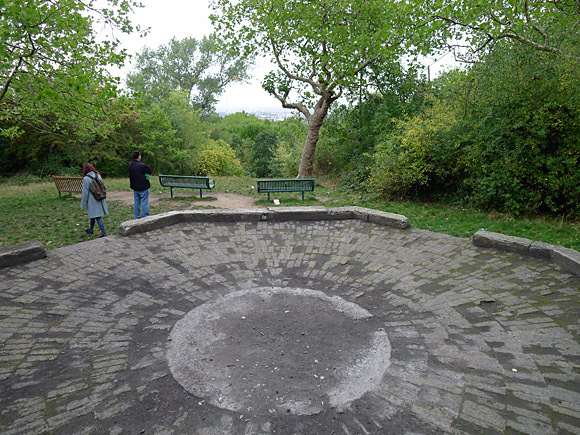 The Analemmatic Sundial at the Horniman. 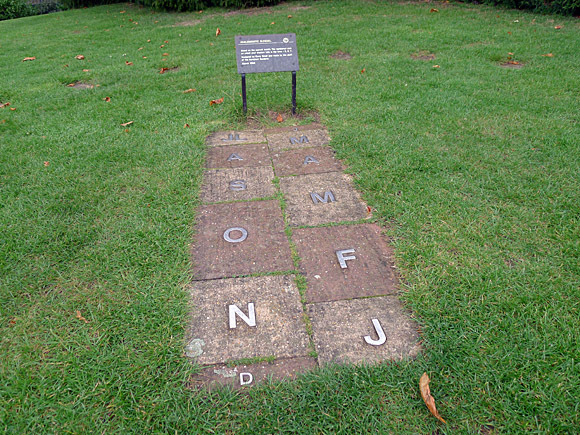 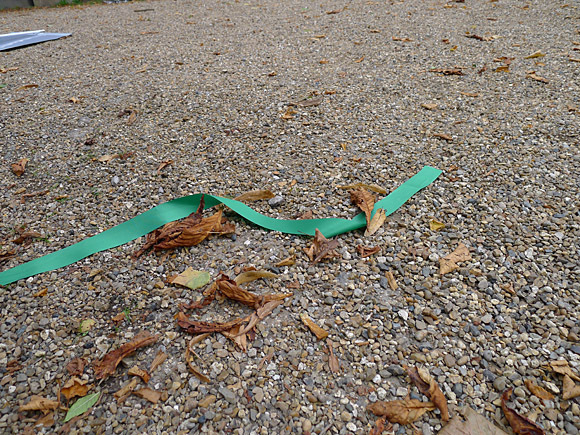 You stand on the current month, and the "numbered slab on which your shadow falls is the time - BST." 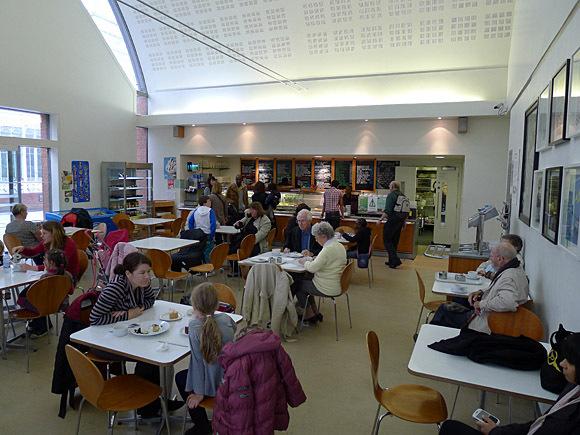 As the heavens opened, we beat a hasty retreat into the Hormiman's modern - but rather noisy - cafeteria. 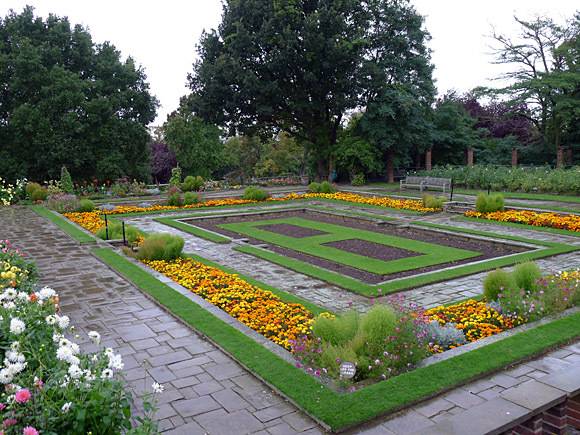 Gardens at the Horniman Museum. 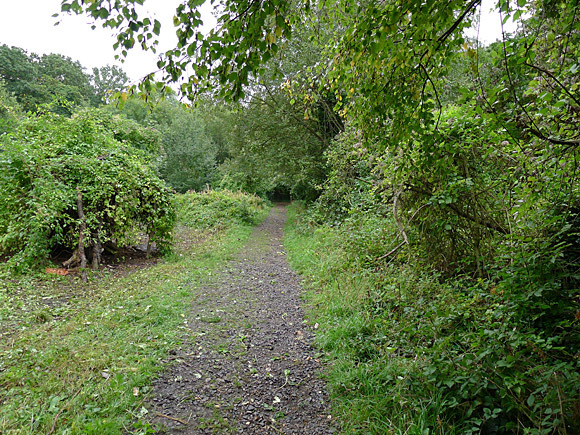 Over the old railway line. 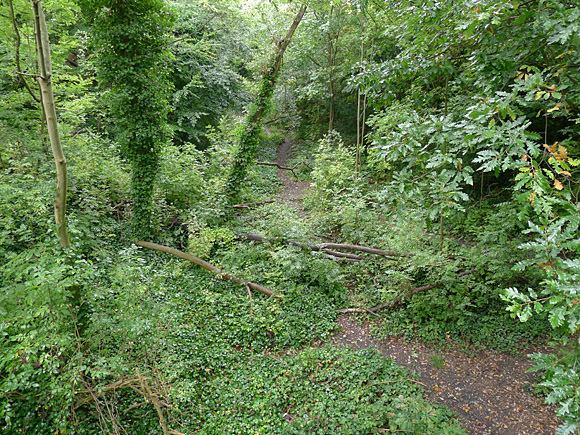 Looking down on the old rail track. 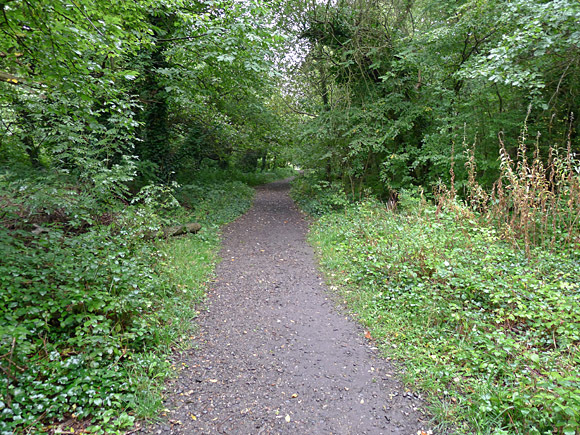 Along the old track bed.Find out about the history of the line here. 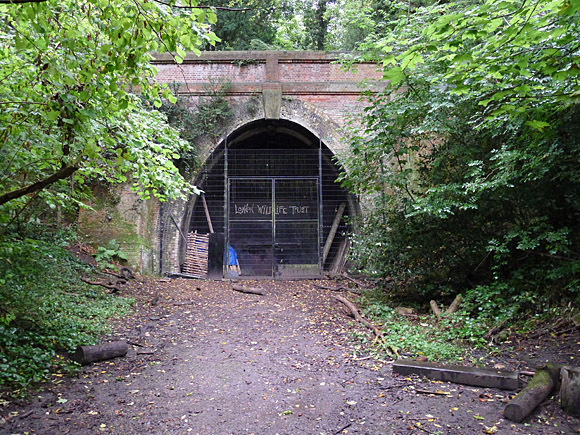 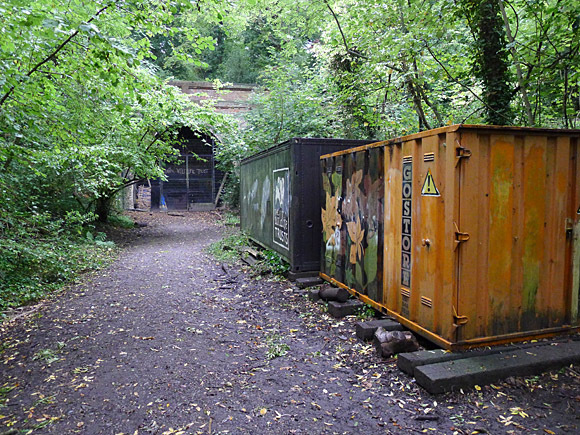 The disused Crescent Wood Tunnel north portal - I wish we could walk through here! 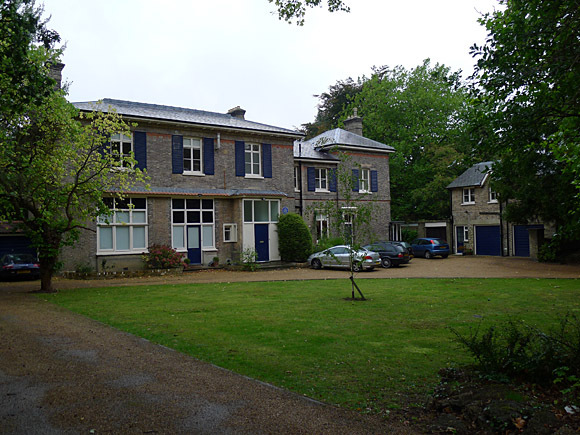 Number 3 Crescent Wood Road, Sydenham, once the home of the inventor John Logie Baird, inventor of the world's first working television system. 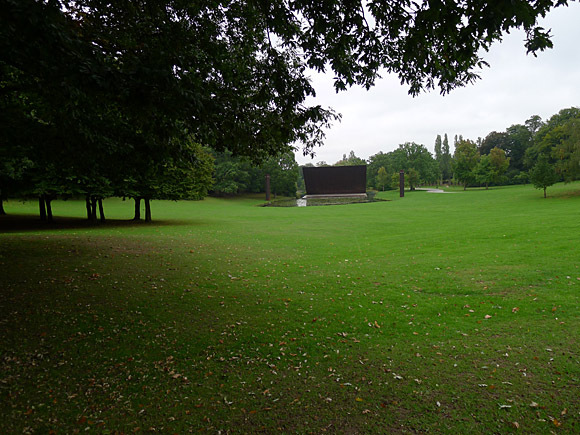 The stage at Crystal Palace which has hosted many fantastic festivals. 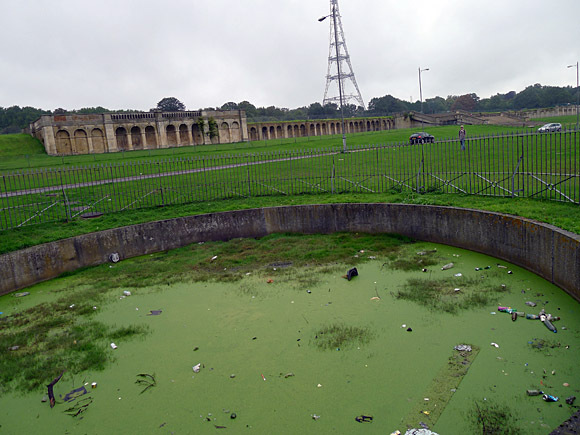 The ruins of the legendary Crystal Palace exhibition. 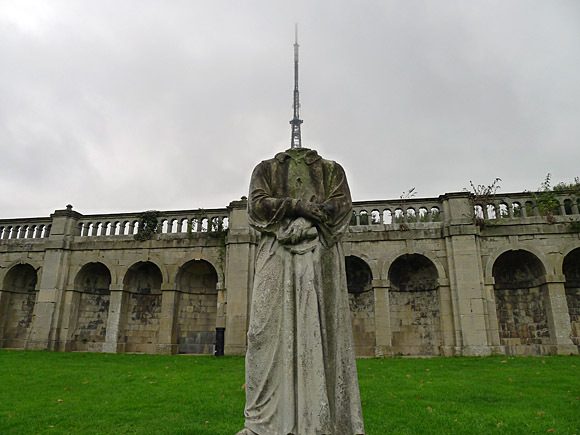 The traditional headless statue/transmitter tower photo! 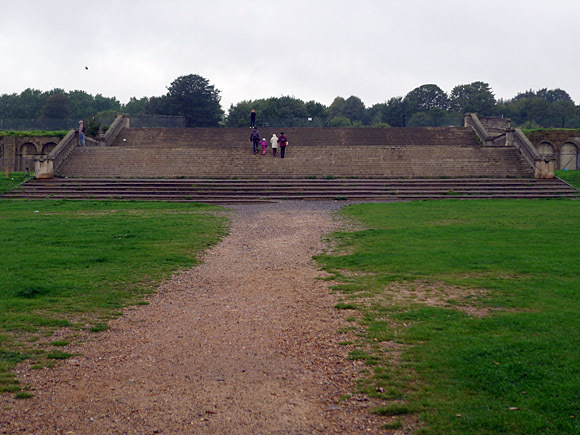 The grand staircase that once led to the palace. 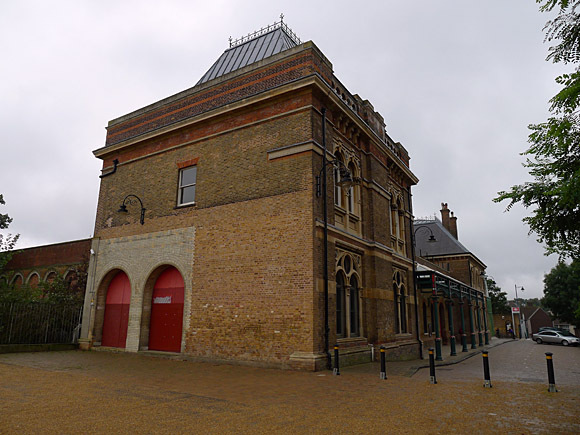 The immense Crystal Place railway station used to see millions of people passing through on the way to the 1851 exhibition. 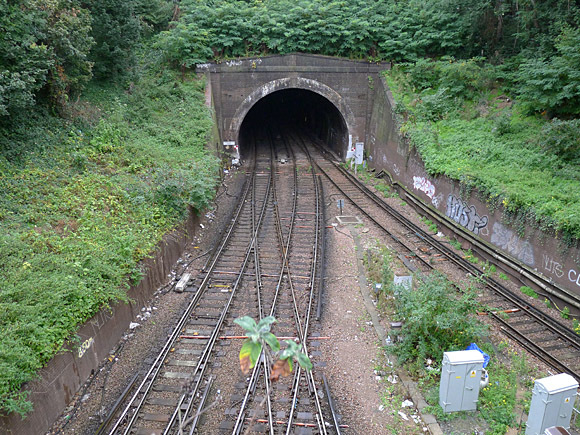 Rails back into central London.